Hi! My new wally=) First of all, I adore Merupuri and that pic a specially! This wallpaper is not so complicated, but I think it's cute, I hope)) This blocks with little pics below were an absolutely spountaneous thing! I have a problem only with choosing fonts and I think that I did it right, hope you'll agree with me:) so, have fun! 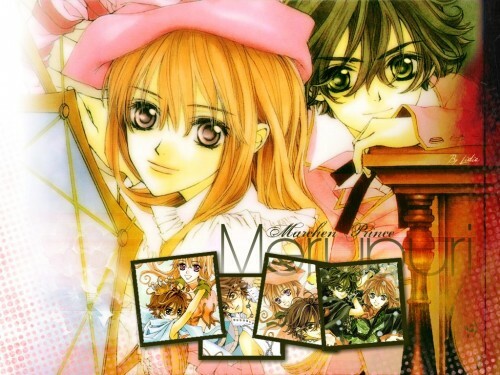 Thanks for making the Merupuri wallpaper :D. I can't find many good ones anywhere TT_TT and this is one of my favorite manga. alam soooo nice^) i like this!